Once named one of the “Top 25 Places to Live Well” by Forbes Magazine, Fairfax, located in Northern Virginia, continues to be a top destination for business owners and families to lease office space. Only 17 miles west of Washington D.C., Fairfax has a population of approximately 24,000 people and is relatively close to the Washington-Dulles Airport. This Northern Virginia neighborhood has all types of office space for lease. There are retail, office and coworking spaces for rent in Fairfax. Small businesses can enjoy amenities like on-site concierge, 24/7 security, walking distance to restaurants and retail, on-site cafe and fitness center and free shuttles to Dunn Loring Metro. According to a 2015 Comprehensive Annual Financial Report conducted by the City of Fairfax top employers include G4S Secure Solutions, Fairfax Rehabilitation and Nursing Center and Inova Health Systems. 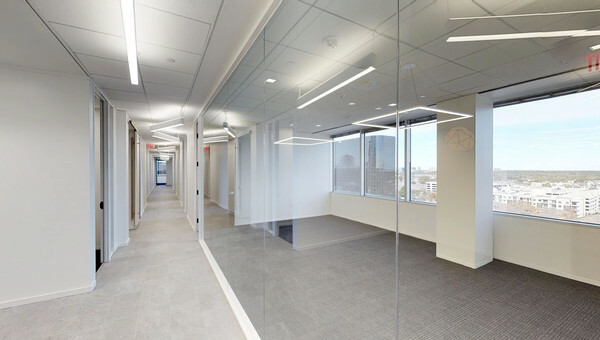 If you’re a small business owner looking to lease office or coworking space in Fairfax, Virginia, start your search with Truss. Truss is easy to use and gets you to your space 60% faster. Truss's personalized listings fit your needs and all-in pricing helps you stay within your budget. Don’t spend time looking for office space to rent. Start your search with Truss.